Am I installing this correctly? I'm trying to install two new Leviton smart switches. Had two neutrals tied off, so pig tailed them. Does first switch need be replaced as well? It's a Lutron dimmer. Needless to say, the switches do not work. Thanks for the input. I got this working. Started the sequence from right to left. The white neutrals were two wires capped off under one cap. The pigtailing worked for the neutrals to the new switches. What I had wrong was switch two was chained to switch three with a red. I ran that, which should have been hot, to the reds that are pigtailed together. Then I relooked at the wiring diagram and was able to get the switch wires adjusted. Bottom line, working well. How do I install switches in this box? 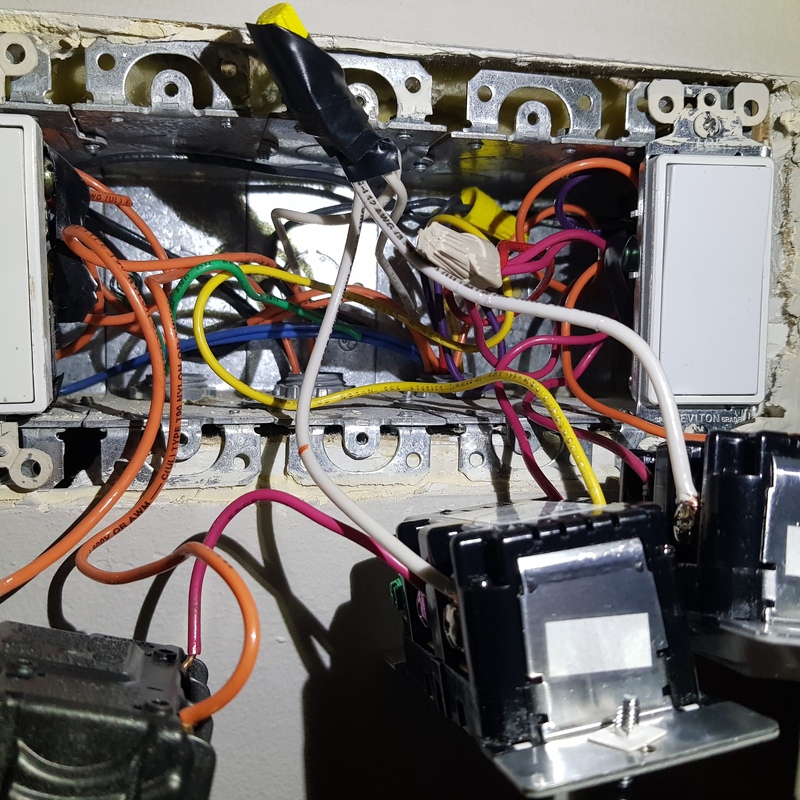 Replacing 2 dimmer switches, breaker keeps tripping?